Considering the other side of the rabbit hole. 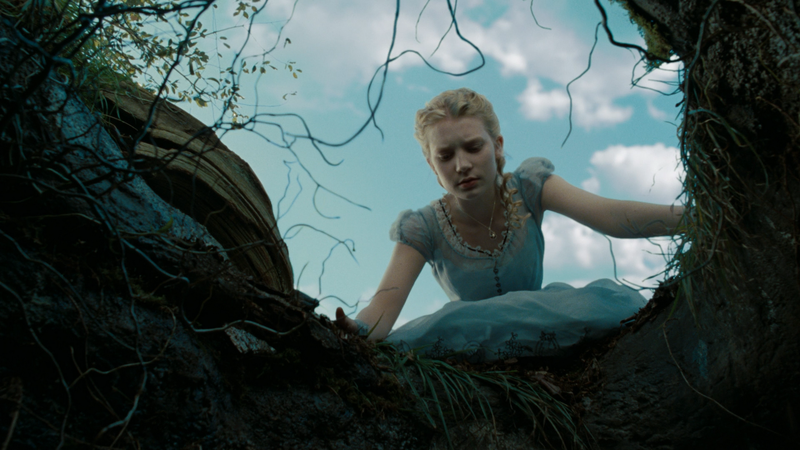 From Tim Burton’s 2010 Alice in Wonderland. I haven’t heard from my ex in more than a week. This isn’t unusual, except I have reached out to him twice during this time — once to ask for medical advice (I forget he is not my doctor), a second time to ask if he might talk with a friend of mine about the later-in-life path to medical school — and that is unusual. We recently saw one other for the first time since I moved out of the house we shared in Seattle and returned to Chicago, more than two and a half years. And so it was over chicken schwarma, hummus and fattoush that he admitted that the times he hadn’t called me back — there weren’t many — he simply, emotionally, could not. Later that day, I saw an MLS listing for a bungalow on his Facebook page, forwarded by his girlfriend. When I reached out to him a second time, a week later, and again did not hear back, I was fairly certain of my inner knowing. And much to my surprise, I felt rattled and sad. I was shocked. I had no idea. For a long time we were one another’s “In Case of Emergency” person. We left passwords unchanged, and nursed each other’s broken hearts in post-divorce attempts at romance. I never had to hunt down my spousal support. I knew the money would be in my account on the 15th of the month, the same way I knew he would always be there. Until he wasn’t. Perhaps my divorce wasn’t so “lucky” after all, as it seems more than possible that this underlying, unspoken (not even to myself) agreement may have kept me from truly seeking out another partnership, or at the very least, being open to one. Not exactly news. And yet, on some deep, gut, primal level — it was. And I finally “got it.” So perhaps I can finally let go of it. It reminds me of when I returned to an old boyfriend, many years after we had broken up, to make amends for where I had been wrong in that relationship. “You wanted a partner, I wanted a parent,” I said. (Not surprisingly, he was 17 years my senior.) Tears streamed down his face as the words slipped past my lips. He hugged me hard, harder than he ever had in the time we were together. “Why are you crying,” I asked. I understood. I saw the truth. I saw what he knew all along. Finally. It was as if I had slipped back through the rabbit hole and we were living in the same reality, more than 15 years after the end of our brief relationship. At least this time it only took three years.